I started modelling because I needed a job that wouldn’t make demands on my brain – and I foolishly thought that modelling wouldn’t. I was ill, and no longer able to do the PR job I had done before, I had problems with memory, words, speech at times – so a silent job had great appeal. 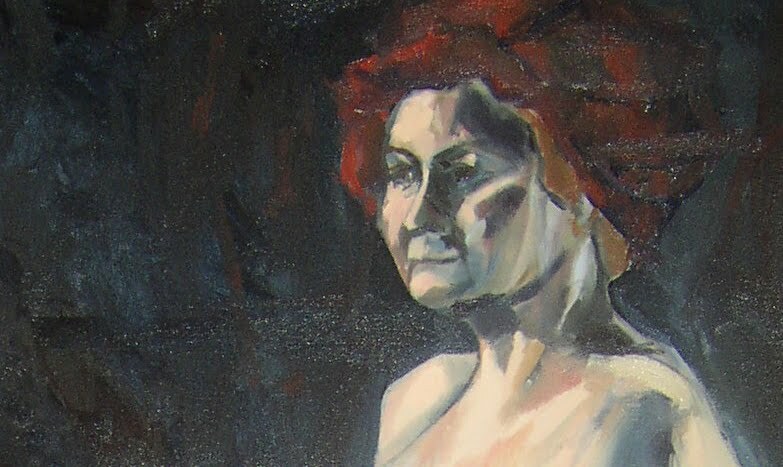 My first point of contact was a friend who’d done some modelling the year before as part of a review of her life – she’d joined RAM, the Register of Artists Models, and recommended it to me, so that is what I did. She was full of very practical advice, like take a robe that covers a lot of you… She also said they would love me, because I have flesh. My first modelling experience was a good foretaste of what was to come – a grotty studio crammed with people who didn’t talk to each other, a minimum of moderating from the tutor who’d change his mind about poses but made no actual recommendations himself, easels that collapsed all the time, a tiny screen behind which to change. I was modelling alongside a slim, pretty, young, red haired student who was trying out modelling as a way of earning some money while she studied. 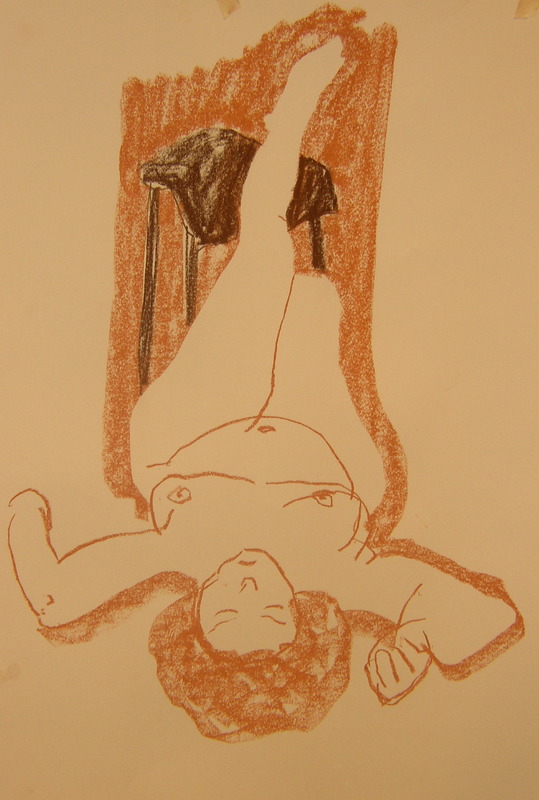 i thought that she would inspire the best drawings, yet during the break, as I wandered round and looked at the images, I found one man who’d done a huge A3 drawing of the red haired girl sitting on a chair – then up in the corner, about the size of a playing card, he’d drawn a back view of me sitting on the floor – the drawing of me had life, energy, it made my arse look like a smile – the drawing of the girl was mechanical, inert, lacking in individuality – this made me realise that you can’t legislate for what the artists will produce. The most important source of work is word of mouth, through other models, tutors and individual artists. I do a fair bit of straight forward marketing of myself to recognised art schools. 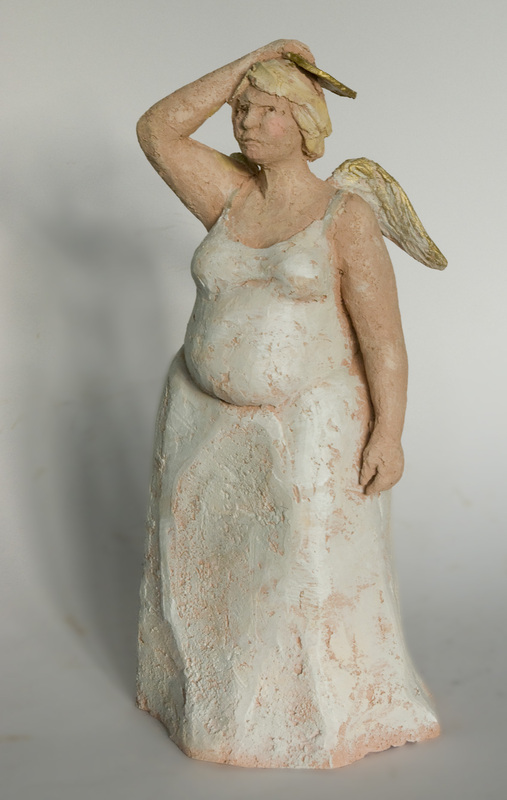 I don’t do photography – I hate the idea that someone else has got naked photos of me – so I am only looking for life sculpting, drawing and painting work, the least lucrative area of work for artists’ models. 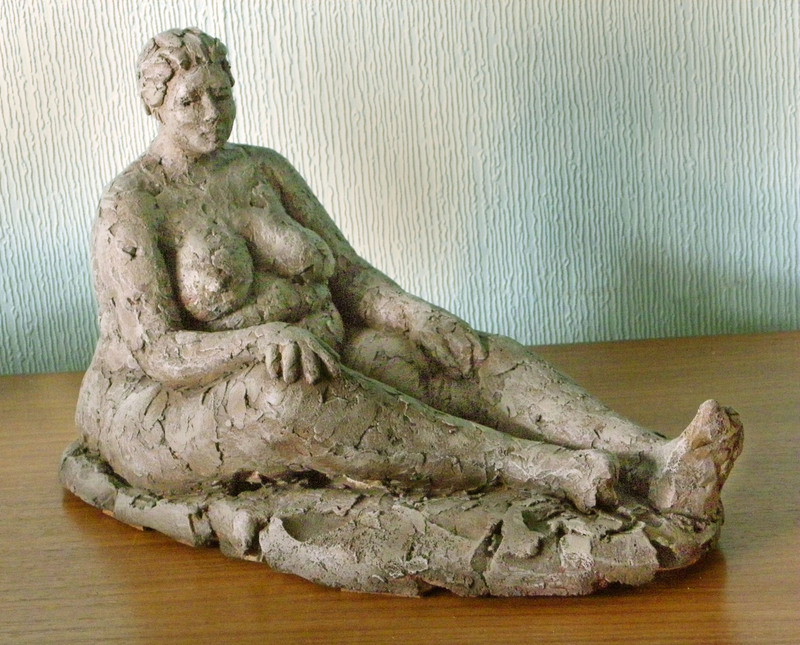 Being a larger artist’s model means you have a USP as a big woman. 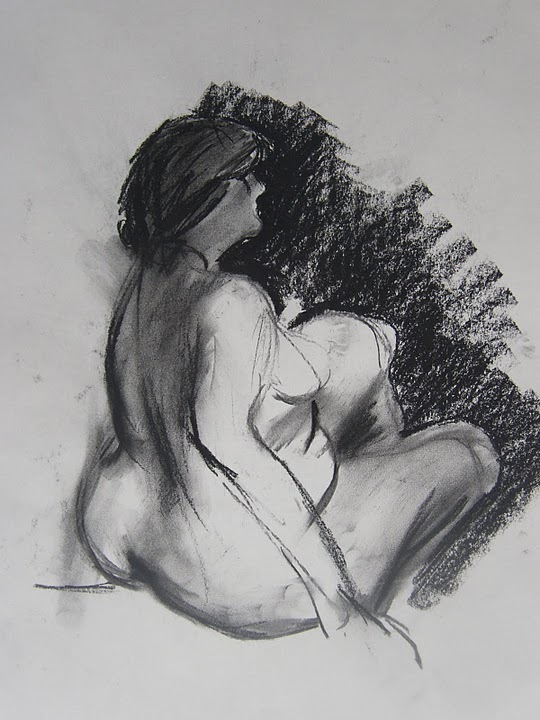 There are famous artists who have done remarkable paintings of large women; Lucian Freud, Jenny Saville, Henry Moore etc. 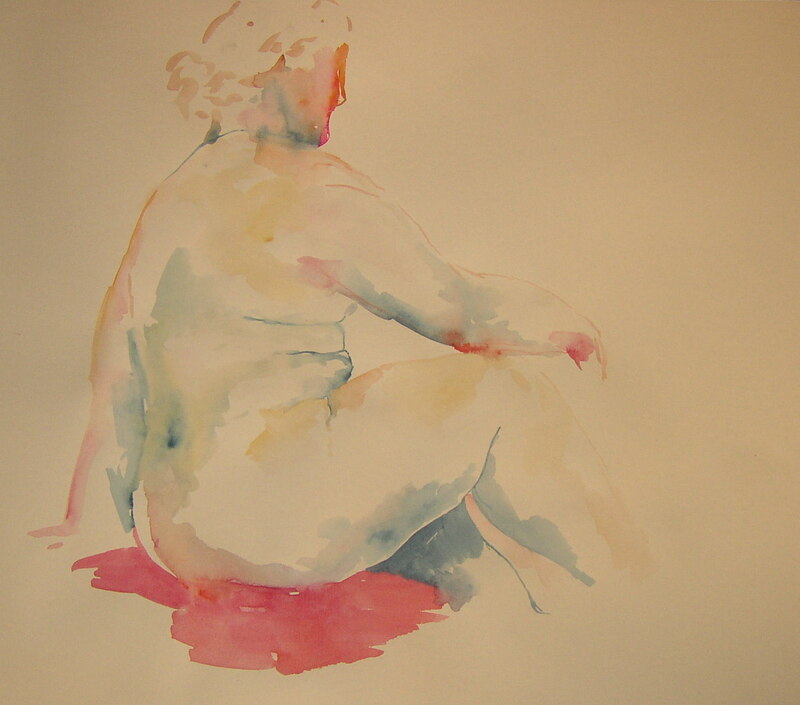 The bad point is that you are not a commercial norm – artists who make a living from selling their work are much more likely to be painting dancers or other suitably slim women than someone like me. There are some ridiculous negatives as well, such as the screen providing a tiny changing area that would challenge a tiny pixie to change in it without knocking over the screen, and tutors rarely understand the difference between a slim circus performer doing a pose and someone who is big doing the same. Effectively you are doing weight training when you pose as a fat person. If they want a pose where I am raised up on my arms, then 20 minutes really is my maximum. I just wish people wanted poses with legs in the air, because I’d be good at that after years of riding. My belly gets in the way if I want to sit up with my arms wrapped round my knees. My breasts are a big advantage, so I have to try to pose without covering them up. Advantages to being larger – I am always surprised when I hear my thin model mates talking passionately about cushions, mattresses etc & saying they hate working at X because there are no pillows. Me, so long as I’ve got my sheet or fleece blanket, I am quite happy posing on the floor or a table or a hard chair – in fact, I prefer it. I hate standing on a cushioned surface, makes me feel very precarious. Finance Doing my tax return always reminds me just how hard it is to make a real living from modelling alone. The hourly rate might look higher than minimum wage, but it’s a classic iceberg job – the bit you are paid for, the visible bit – the posing, uses up the least time – you spend much more time travelling from job to job, doing the admin, marketing yourself & networking. That said, I’ve loved the world I’ve found through modelling; the people, the artists, and everyone coming to a class. 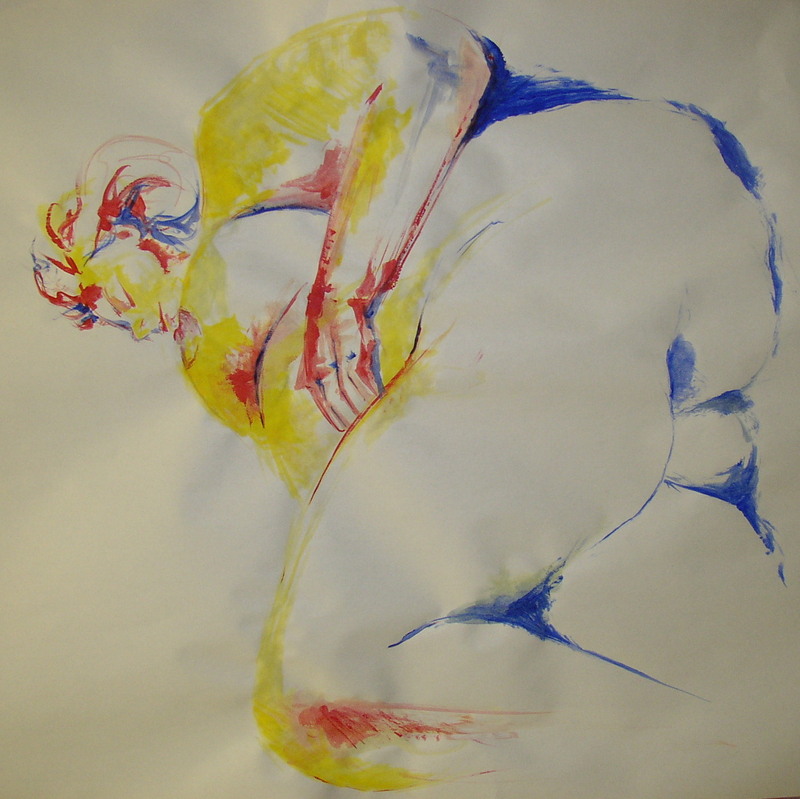 I like the opportunity for meditating the job gives me, and I like the meditative effect it has on the people drawing. The structure of the class gives me a discipline for meditation, which has very direct benefits on my health. While I like working with classes, i think now I’d like to model more for individual artists. I think I’ll target some whose work I like. I really enjoy sitting for portraits; I am a dab hand with a turban and have a selection of amazing hats and jewellery, so I want to promote myself as an interesting portrait model this year. I like dressing up like a daft thing – I do a good wedding guest, gypsy queen, classic English country gentlewoman (lotsa pearls), or middle aged Goth. The last fancy dress party I went to I went as a jellyfish, so dressing up appeals. I might also explore the opportunity to do some modelling as a couple, if I can find a man to work with who doesn’t look a tad ludicrous alongside my bulk. I think doing some Rodinesque modelling would give me a laugh as well as being more lucrative. An active market for life art would ensure its survival – and work for models. I loved seeing all these artworks (are they all you?) and reading your experience with modeling! Where I live, the models I’ve drawn have been through a local models’ guild. I wonder how much their experience differs from yours. The Miliband article is fascinating, too. I agree with you — I want to buy art because I love it, and I wish others would do the same. The only “value” that matters is how much I value the work. Lucy, I know you are all separate ladies! 🙂 But it’s nice to “meet” you individually. 🙂 I love the portfolio on your site!!! What beautiful artworks and all so different. I will email you about our local guild. It seems to have a very strong (perhaps exclusive) presence in the art schools around here. Nine hours of modelling seems really draining. Hope it went well.